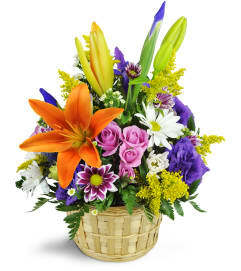 Let them know you're thinking of them in their time of sorrow. 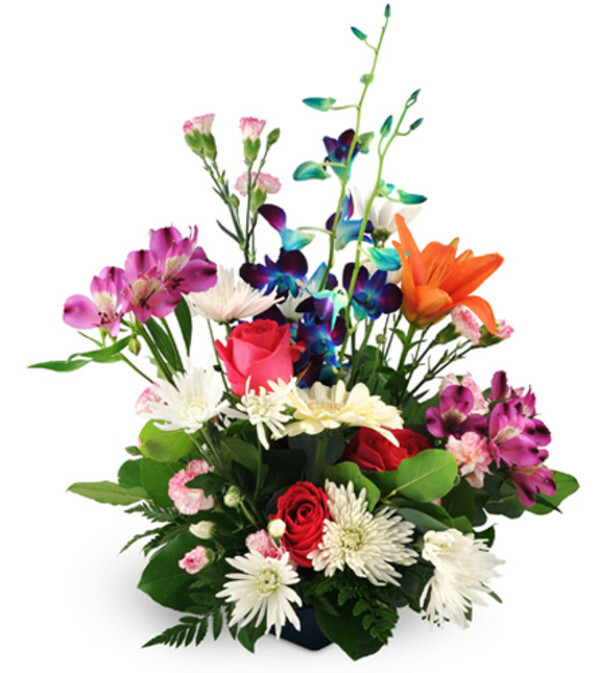 Send sympathy wishes with our exceptional Endless Love arrangement. 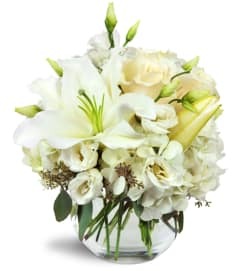 Endless Love will show your feelings with a bright display of Oriental lilies, orchids and roses, captured in a beautiful and unique way. Dendrobium orchids, oriental lilies, alstroemeria, gerbera daisies, roses, and mini carnations mix with chrysanthemums, seeded eucalyptus, salal, and leatherleaf.